This first show was a late afternoon gig, beginning at 5:30, and was followed with a second show that evening at the Brondby Pop Club in Norregardhallen, Brondby, Denmark. Though no set list survived, it is safe to say the shows likely included songs such as “White Summer,” “You Shook Me,” “Dazed and Confused” and “Train Kept A-Rollin,” all of which were Yardbirds staples at the time. Support acts for the first show were Fourways and Bodies, and no, we’re not sure what became of them. 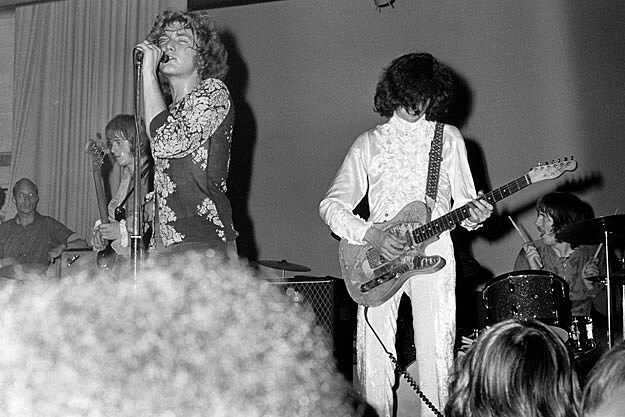 Page soon changed the name of the group, either because of legal claims from other former Yardbirds members or out of a desire to start fresh, and the rest is history.